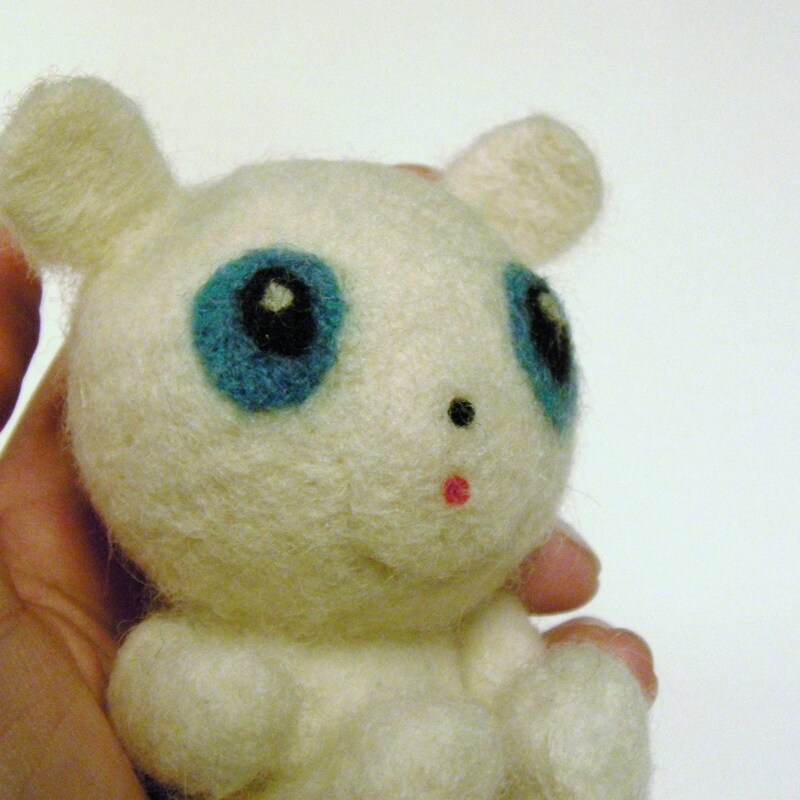 I’ve been needle felting like mad the last few days. 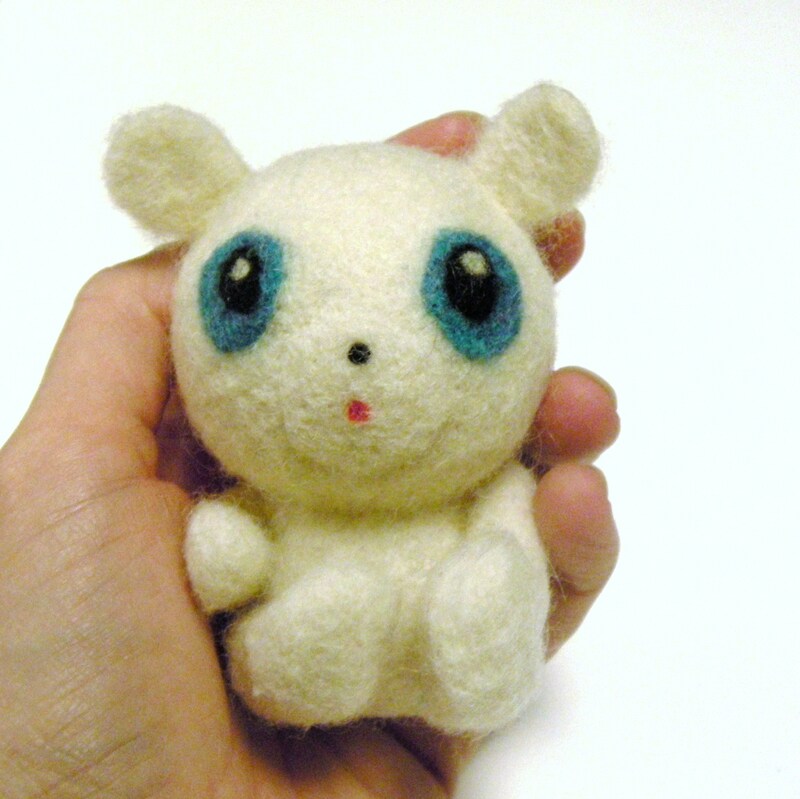 I’ve been cooped up inside all winter and needle felting has really helped me pass the time during the cold days and nights, but enough is enough! I broke down this week and started dreaming sweet “spring dreams”. Here are my “spring dreams” brought to life. 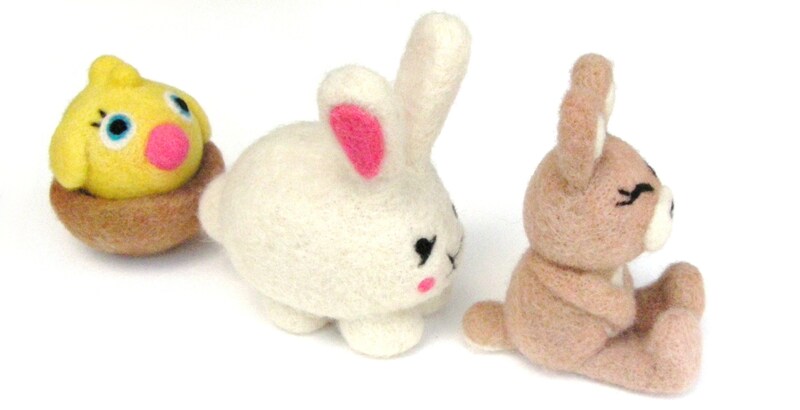 . . an unbelievably sweet brown rabbit, a plump white bunny, and a yellow chick in a soft nest. Yes, I know the spring equinox is a month away, but I am so excited for the warm sunny mornings and the little delicate blooms on the trees and lawns. Hopefully trips to the park with the children and swinging and hiking will soon follow! 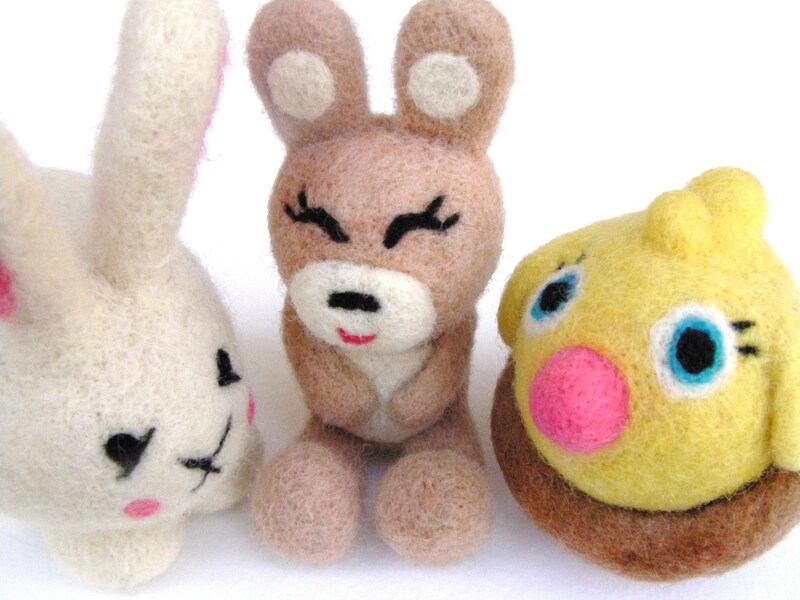 I suppose I must deal with the cold nights a little while longer, but a month is a very close thing and hopefully my cheery little felt creations can brighten up and warm your day! 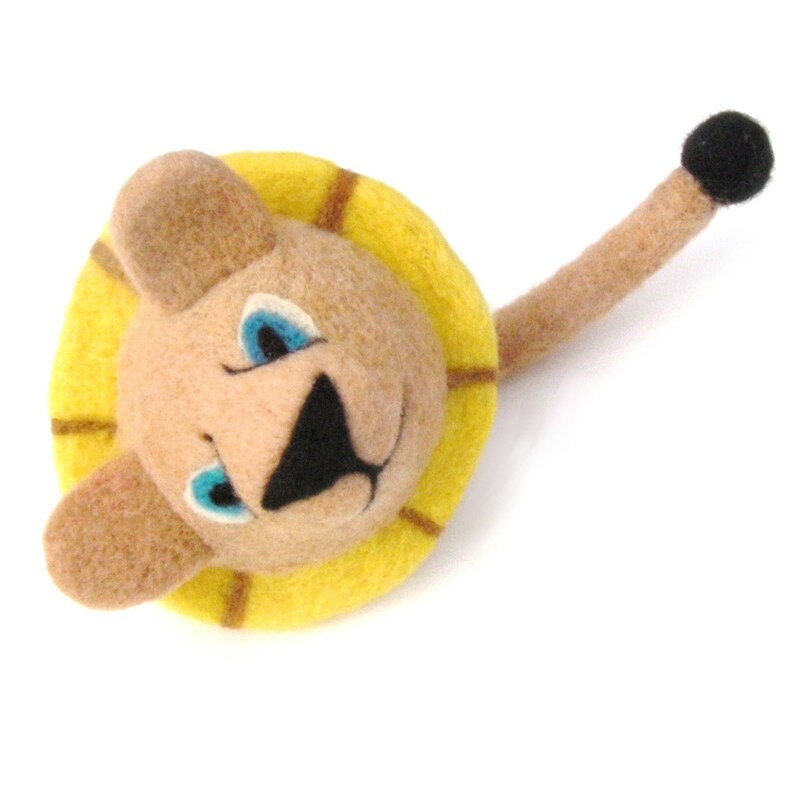 Today, I have been needle felting a lion toy. As you can see, this poor lion is lacking a face and EARS! 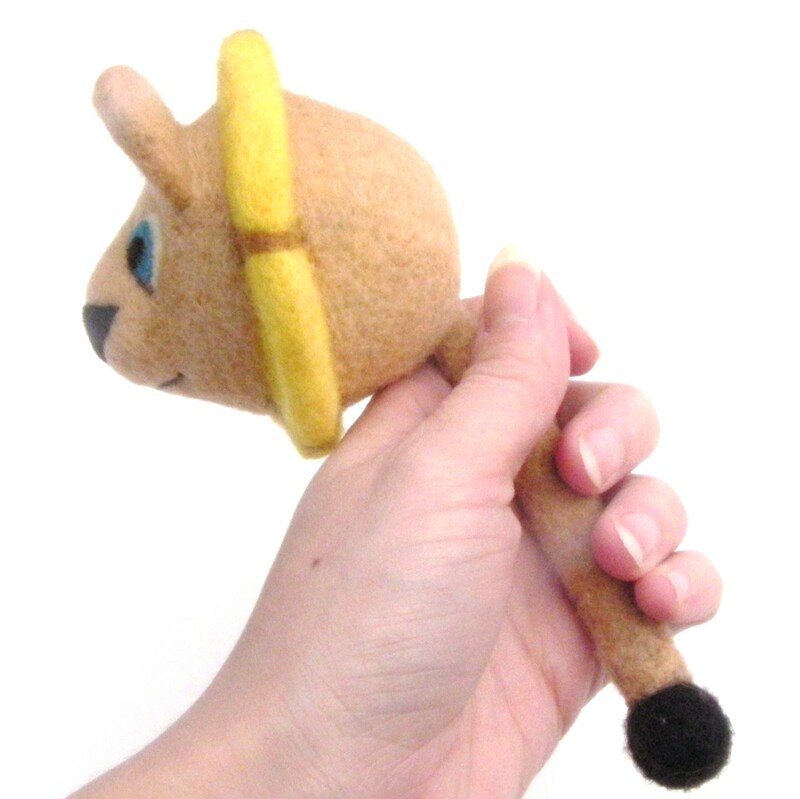 The lion will be used to demonstrate how to make needle felted ears. 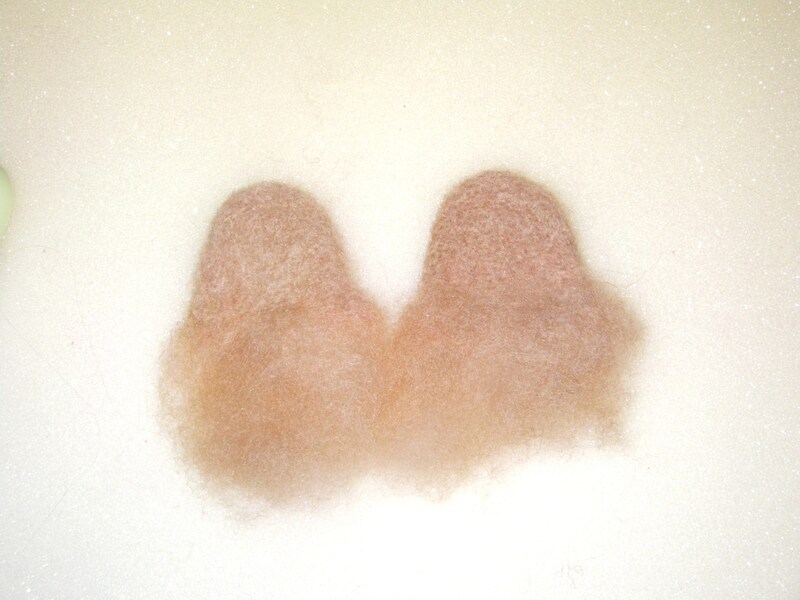 There are many ways to needle felt ears and many types of ears to create; this is just one way that I use with many of my felted projects. With this technique, the first thing is to create a paper template of the ear. 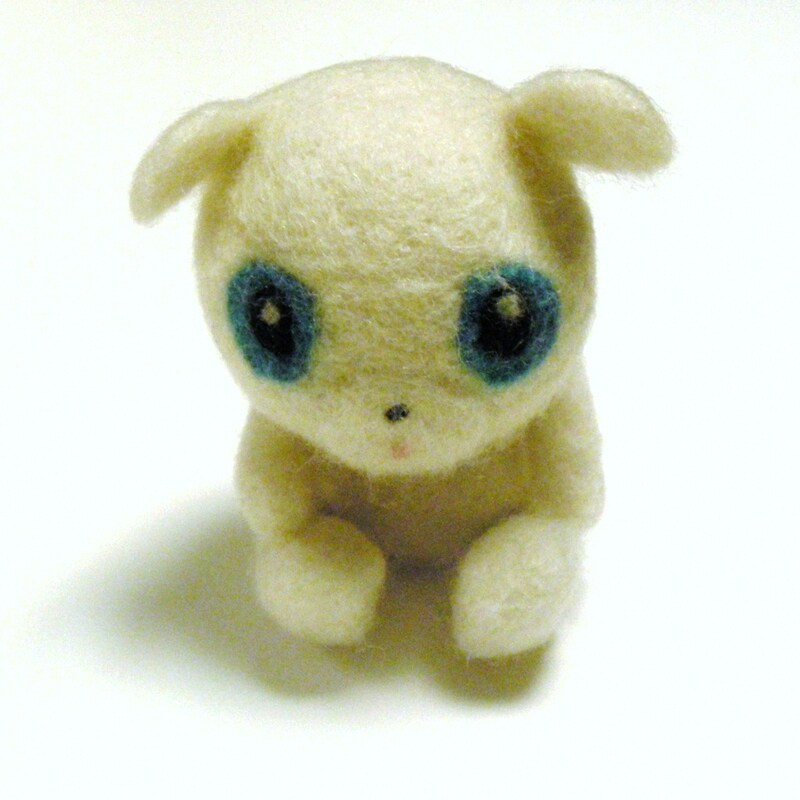 Next grab out two tufts of wool equally sized, in the choosen color for the ears. Grabbing the right amount of wool per ear can be tricky, but you will get better at this as you practice. Just use my picture as a guide to help you guesstimate the “right amount of wool”. And the most important step here is that each ear has equal amount of wool; a good scale is very useful. Next lay your paper template in the center of one of the tufts of wool. 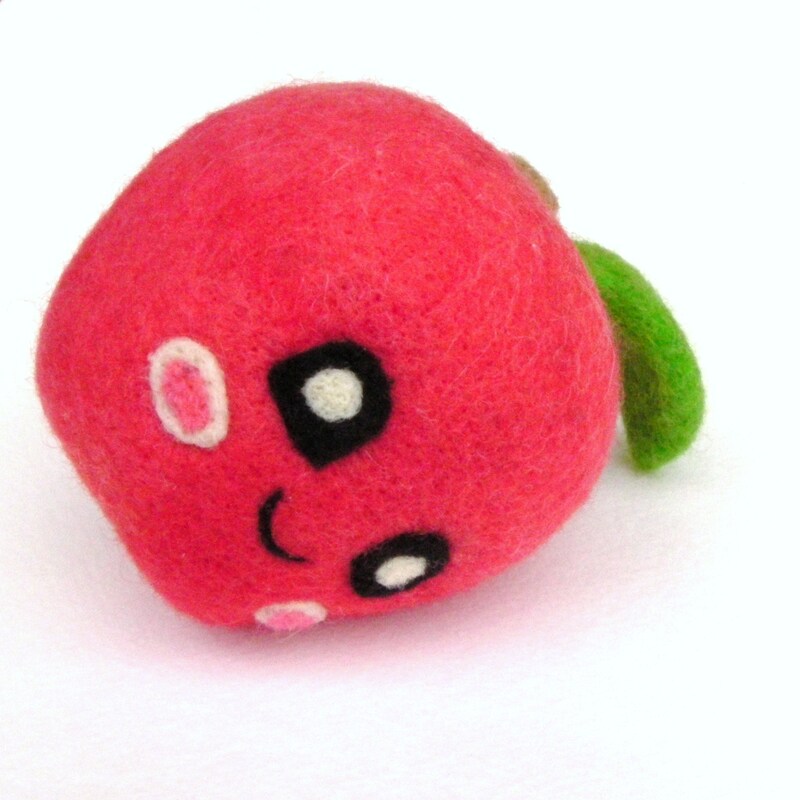 Very carefully, needle felt a line around the template. I have found that the brush works better than foam for these small ears. But foam will work too! Your ear shape is now outlined on the wool. 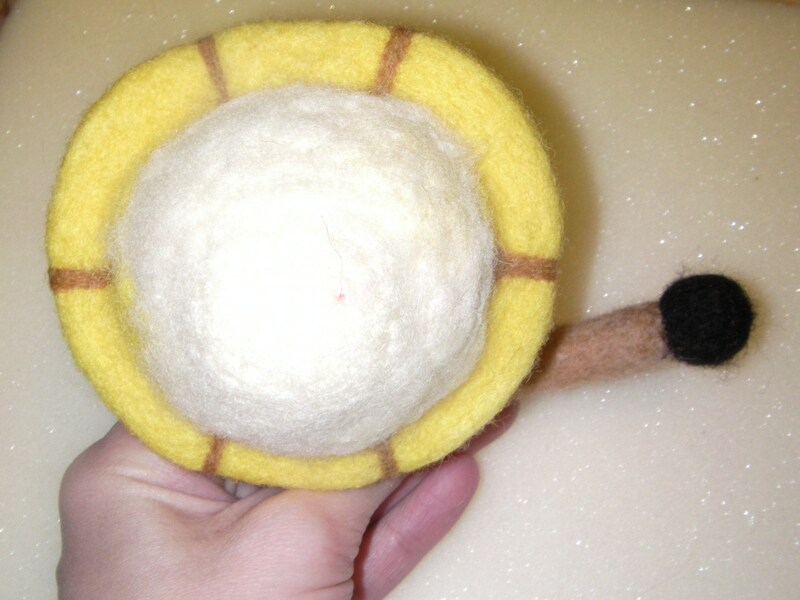 Using the outline as a guide, fold over the extra wool towards the center of the ear. 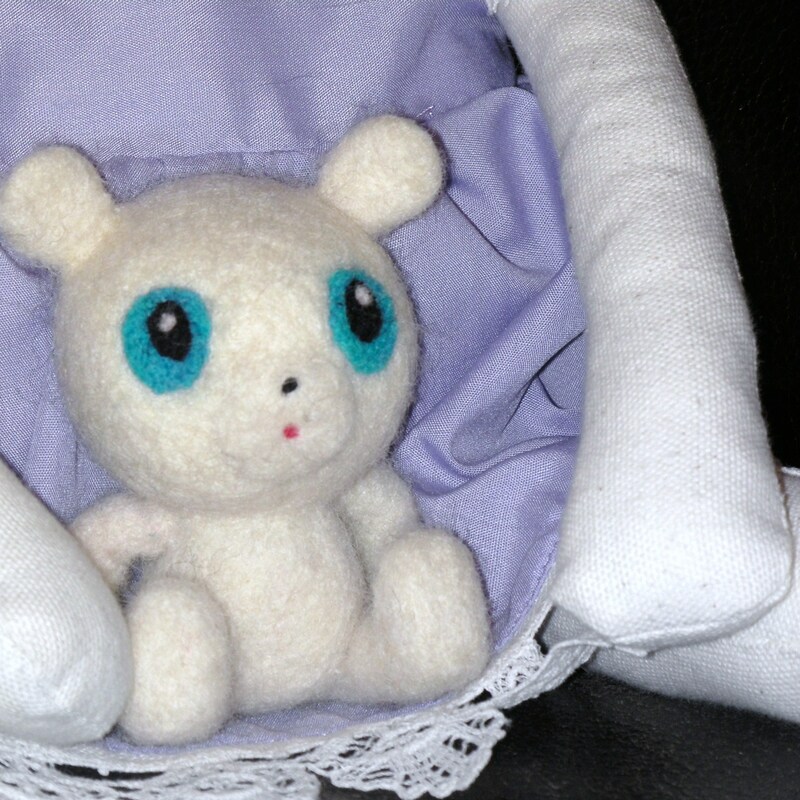 It is now not felted, but it should be ear shaped when held in place. Time to felt. 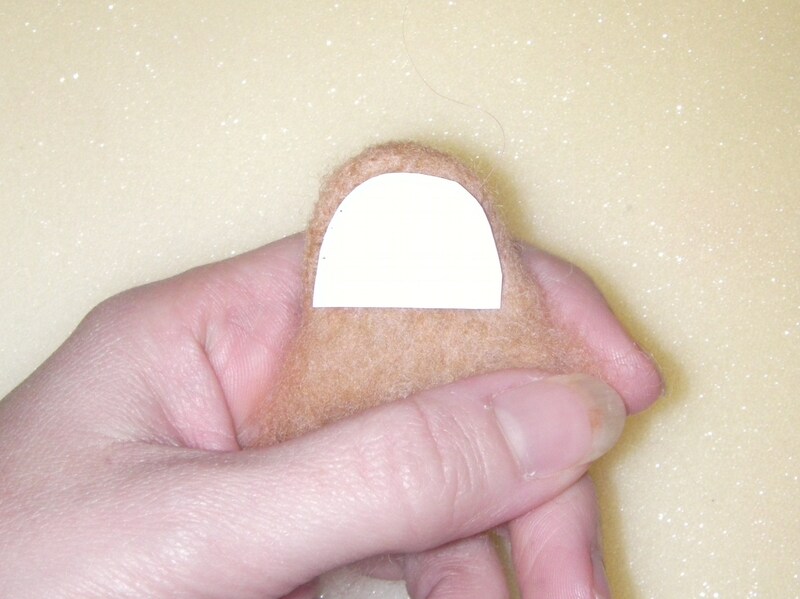 Lay it down, pinning the loose wool with one finger to maintain the shape. 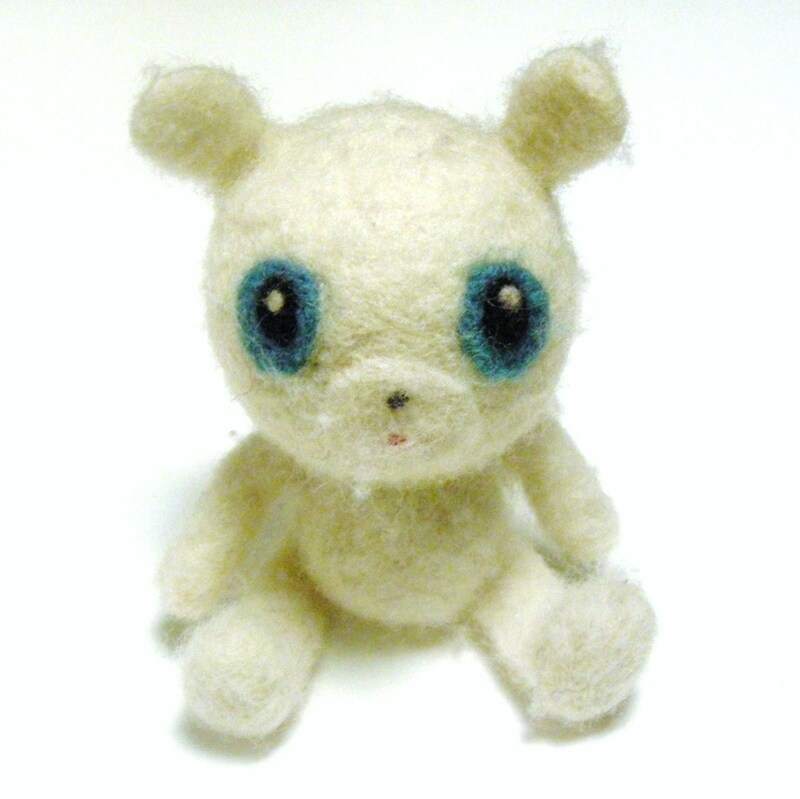 Start needle felting until the piece is flat, be sure to leave the bottom edge unfinished. Now flip it over and felt the other side. Then carefully felt the very edges of the ear. Compare the ear to your template. To get a smooth finish, I sometimes use paper at this stage. It can keep the wool from sticking too much to the foam or brush. Place the paper on your felting brush. 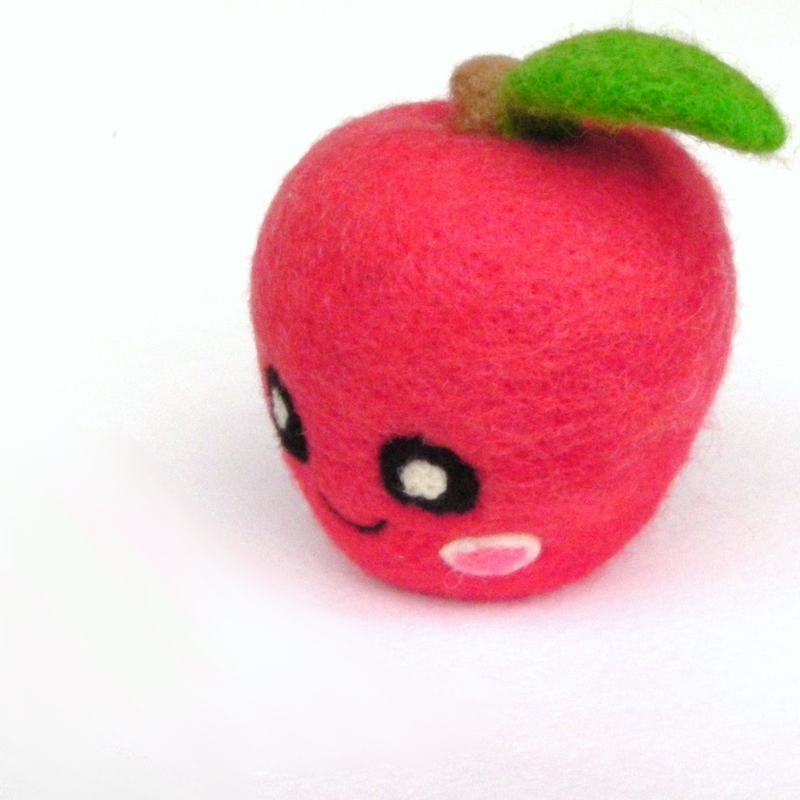 With a smaller needle size felt one side of the ear. Lift it from the paper, place the other side of the ear up on an undamaged piece of the paper and needle felt this side. Needle felt the very edges of the ear again. 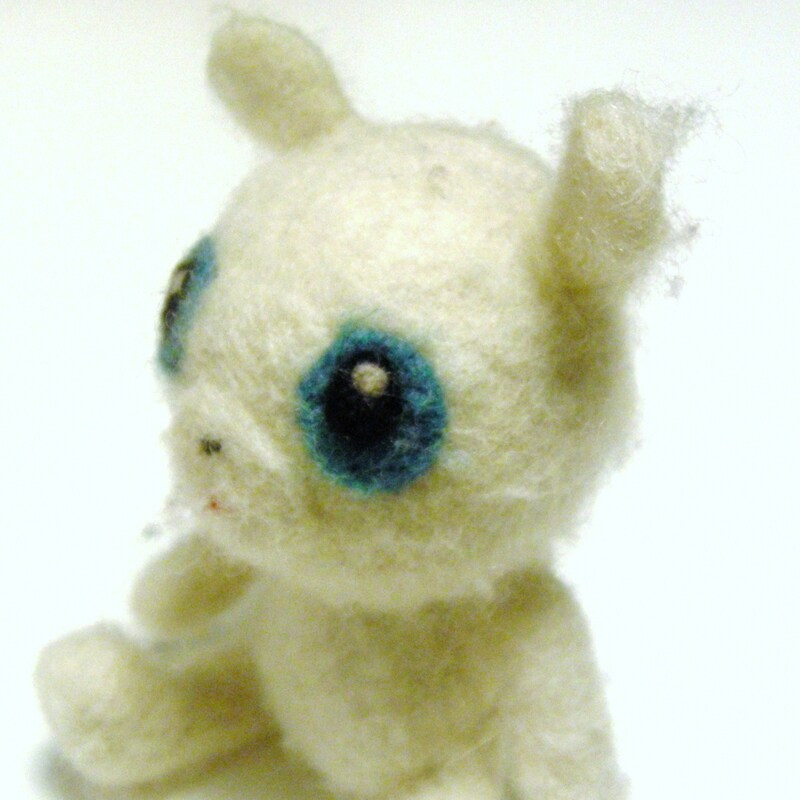 Repeat the process with the other tuft of wool and you should have two similarly sized, same shape ears! 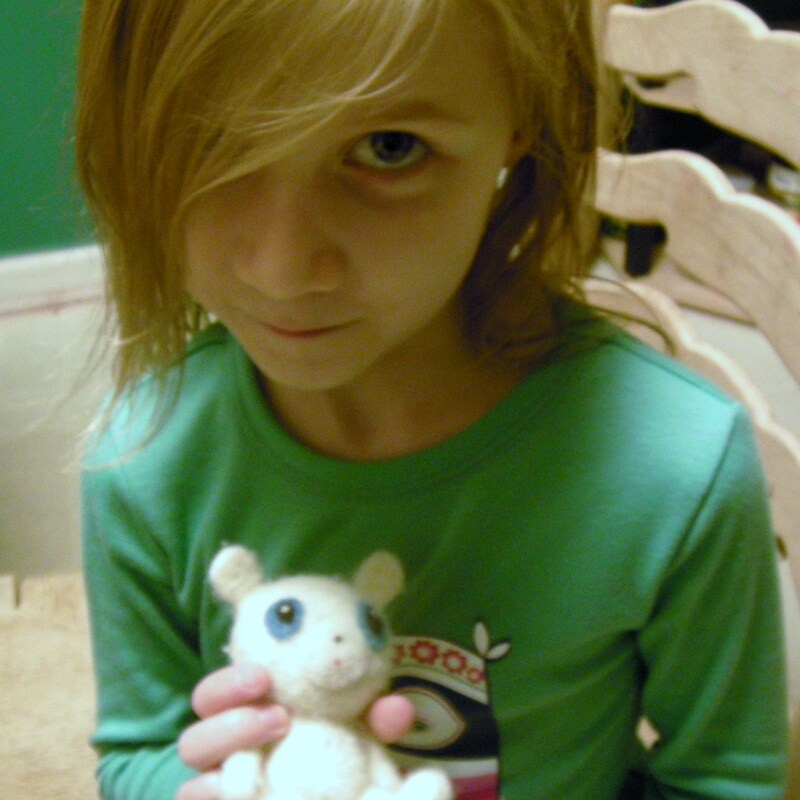 Spread out the unfinished portion of the ear and felt to your felted project. Here is my lion: face, EARS, and all! He looks pretty darn cute.